Every Friday night during Lent, throughout all of Rome, the delicious smells of a fish fry filled the air. The church even hosted fish fries for those families not able to have their own backyard feast. It’s a little-known fact that I grew up Italian Roman Catholic in Rome, NY, a small town located about 45 minutes from Syracuse! I not only attended St. Peter's Catholic School from fourth through seventh grade, served as an altar boy for several more years, but also contemplated becoming a priest. I remember with great fondness the liturgical seasons of my childhood, as they seemed to influence all aspects of the surrounding community year-round. To me, the Lenten season was most mysterious in its purpose, meandering in its length, and momentous as it ended with Passion Week and ultimately, Easter Sunday. I recall the richness of the purple cloth, the abundance of candles, and the ashes and oil marking our forehead and hands. But it was the increased fasting, prayer, and penance practices that meant the most. As a kid, I was taught to remember our mortality, our sin, our need for a Savior, and something about Jesus’ 40 days of fasting in the desert. And oh yeah, those Cadbury crème eggs—a coveted chocolate reward for many children after 40 days of denial—were coming to the store shelves soon! 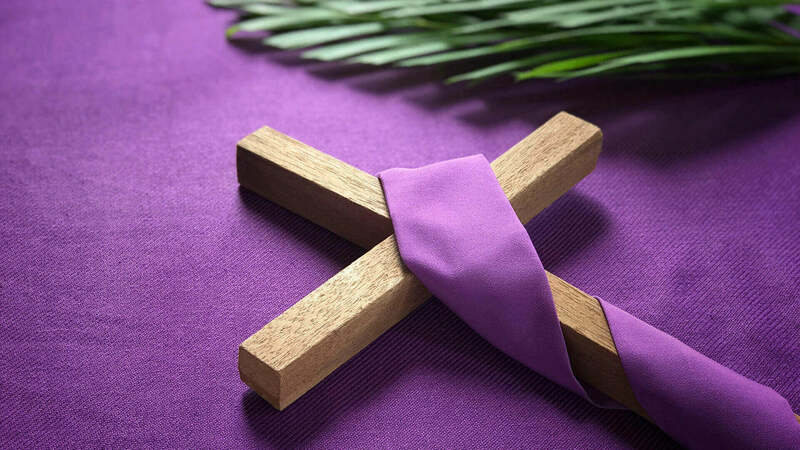 Lent probably originated with the pre-Easter baptismal rituals of catechumens, although the number of days set aside for fasting varied according to the region. Irenaeus (AD 180) testifies to the variety of durations of pre-Easter fasts in the second century. Tertullian (AD 200) suggests that Catholics fasted two days prior to Easter, but that the Montanists (a heretical sect that Tertullian later joined) fasted longer. However, the number forty, hallowed by the fasts of Moses, Elijah, and especially Jesus, probably influenced the later fixed time of 40 days. The Canons of Nicaea (AD 325) were the first to mention 40 days of fasting. Initially, the forty-day Lenten fast began on a Monday and was intended only for those who were preparing to enter the Church at Easter. Lent still begins on a Monday in many Eastern Churches. Eventually, the West began Lent on Ash Wednesday, and soon the whole Church, and not just catechumens observed the Lenten fast. The East has no equivalent to Ash Wednesday. The earliest fasts of Lent tended to be very strict, allowing one meal a day, and even then, meats, eggs, and other indulgences were forbidden. The Eastern Churches follow this today. Now, in the Western Church, only Ash Wednesday and Good Friday are enjoined as strict fast days, but Fridays are set aside for abstinence from meat. Thus, it is fitting that the season of Lent begins with a symbol of repentance: placing ashes mixed with oil on one's head or forehead. However, we must remember that our Lenten disciplines are supposed to ultimately transform our entire person: body, soul, and spirit, and help us become more like Christ. Eastern Christians call this process theosis, which St. Athanasius describes as "becoming by grace what God is by nature." In reflecting on this bit of history, I hope this helps us all to better understand the true value of our Lenten season. With Pastor Matt’s recent illustration about sawdust, may we let it empty out of our minds and fall off our shoulders this Lenten season so that we find the ticking sound of our hearts synchronized with the heart of Jesus. As we continue in this preaching series called AWAKEN, Lent is a reminder that God Himself is engaging each of us, always, to be fully alive in Jesus. I pray that each of us would experience an awakening in our lives as we pray, fast, repent of our sin, and prepare our whole selves, body, mind, and spirit for the coming celebration of the Easter Resurrection of the Lamb Who was Slain!